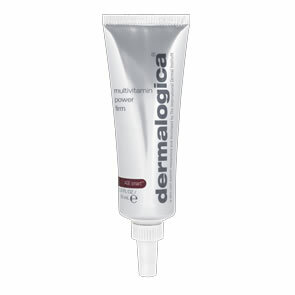 Dermalogica Dermal Clay Cleanser is a skin-perfecting formula that provides deep-cleansing to oily, congested skin. Water-soluble Kaolin and Green clays combine with purifying extracts of Sambucus, Ivy and Lemon to remove excess oils and refine the skin's texture. Calming Cucumber and healing Sage soothe irritation, while refreshing Menthol revitalises even the most tired skin. 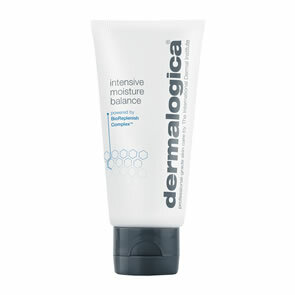 Pour a small amount of Dermalogica Dermal Clay Cleanser onto dampened hands. Optional: Apply to wet face and throat and leave for 5 minutes as a “mini” masque. Rinse thoroughly. I have adult acne on my forehead and oily skin. Before 30s i have never had acne, just few years small teenage acne but after few years my skin was very clear, no spots no breakouts nothing and no pigmentation of course, and I never couldnâ��t even thought that I will face with such big problem Adult acne and pigmentation, I have tried a lot of treatments, expensive products nothing helped, I was desperate but my friend recommended me to try Dermalogica, so I tried kit oily skin and miracle in few weeks my spots reduced. I still have few spots but not like before. I am using different products of Dermalogica and everything what is suitable for oily skin I love Dermalogica. I have tried 2 cleansers Dermal Clay Cleanser (more suitable for me not so drying my skin) and Special Cleansing Gel (a little bit drying my skin but sometimes using as well) they both very good and both helping to reduce spots. Now I am 32 and very feel sorry for myself that hasnâ��t discovered Dermalogica products before like 2 years ago when I started to get those spots maybe I would avoid pigmentation marks which I got after spots. And I want to thank you Pure -Beauty that they are offering samples which are really helped me to try different range of products and select what my skin really needs. I love this product. It makes my skin feel great, I will never go back and the service from Pure Beauty is fantastic!!! Wonderful for my oily forehead and chin, and manages to clear up the blackheads around my nose. Works fabulously with the Oil Control Lotion to clear up my chin and stop any more spots forming. Better than anything I've got from the high street! However be careful using this on your cheeks, as it can be drying and makes them feel a bit tight - stick to your T-Zone unless you have really oily cheeks as well.